I am kind of intrigued what special psionic abilities a Canuck would have. Beaver dowsing? Hoser mind meld? Remote curling? 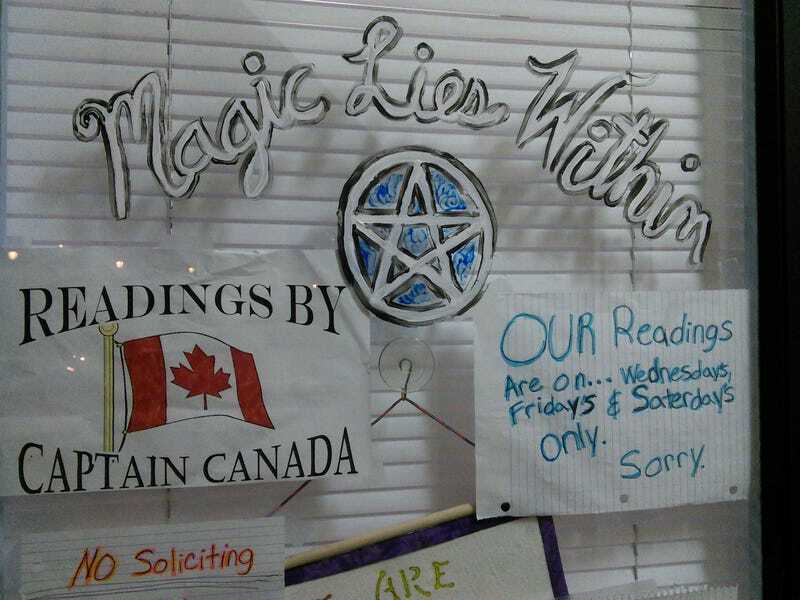 Also, I am not sure how confident I am in a psychic that not only misspells a day of the week once on their store window but twice.